Time in way: 3 h. 50 min. Ko Kud is one of the most picturesque and romantic island of Thailand. 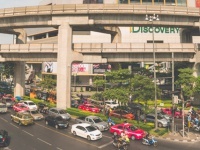 If you want to get there, you will need transfer Pattaya – Ko Kud, but there are other ways to get there. 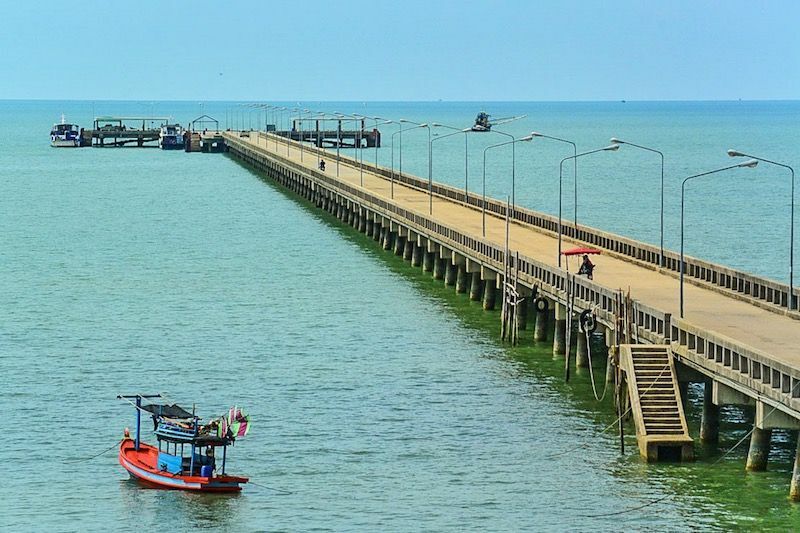 The island is situated in 380 km to south-east from Pattaya and to overpass this distance you will need transfer by boat or ferry. But you will also have trip by land to dock by one of the kind of transports. If you want to overpass this distance, yourself you should follow the destination from Pattaya to the dock Laem Sok near Trat to Ko Kud. At first we should know how to get to Trat. You can hire taxi and it will cost you about 3500-4000 baht. The trip will take you about 3-4 hours. Consider that you should depart early in the morning to get to Trat in afternoon, because the last boat departs from the island in 1 pm. The second way is more economical, but it’s more difficult. You should be on the road Sukhumvit Road (it’s crossroad with Central Street) in 6 am and get in the bus that runs from Bangkok to Trat. 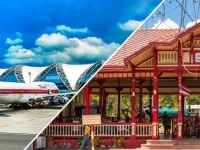 The trip will take you about 5 hours and the ticket costs about 180 baht. By arrival to the Bus Station in Trat, you should transfer to songteo (it’s a kind of pick-up van) and you get in 30 minutes to the dock. But you should tell the driver beforehand that you need Laem Sok because he stops near other docks too. The price for ticket is about 30-50 baht. Speed ferryboat Ko Kut Express. The trip by speed boat will take you about 2 hours and cost about 600 baht. It goes everyday in 9 am and 1 pm, but sometimes it can changes its schedule. Consider that speed boat is not used in monsoon. The trip by speed ferryboat Koh Kood Princess will take you less time. It goes from the dock Laem Sok once a day in 12:30 (this time can also change). It puts ashore its passengers near the beach Ao Salad on the dock of the same name. The trip will take you 1 hour and 40 minutes and the ticket will cost you 350 baht. 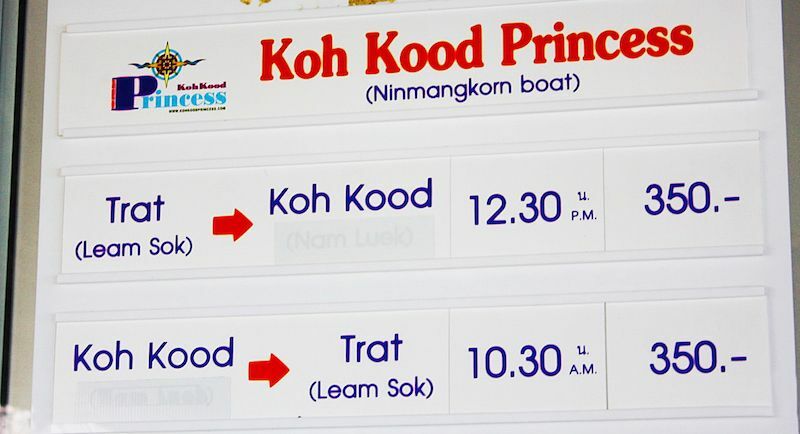 The trip by speed ferryboat Ko Kut Express will take you less than one hour but the price will be the same as for speed ferryboat Koh Kood Princess. It departs from the dock Laem Sok in 12:30, but it arriveds to another dock, Khlong Hin Dam (it is situated on the west side of Ko Kud). 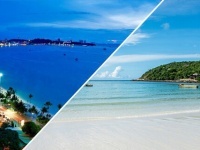 Some touring companies in Thailand can organize transfer from Pattaya to Ko Kud and it’s the simplest way to get there. 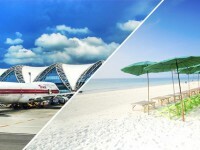 The most famous company is 35 Group Pattaya and its office is situated on the street Pattaya Tai. The minivan departs from Pattaya early in the morning in 6-6:30 am and then boat to Ko Kud arrives about afternoon. The whole time of the trip will be about 6-7 hours and the price is about 800-900 baht per person.